What is QAI SPECTRE™, What Does QAI Do? QAI.ai LLC is a United States space and defense company located in Montana, with a team spanning the U.S. And EU. We focus on development super Turing SiP modules manufactured using of III-V AI application specific integrated circuit mixed signal/MEM multi-chip modules System in Packages (SiP). Our competitive advantage is our full flow super Turing SiP module development environment and our proven experience building complex space and defense embedded systems with complex operational requirements. We design and build the highest performance computational machines in the world, with requirements to operate in the harshest environments, lowest power and using adaptive AI. Our SiP module automated system synthesis provides end-to-end AI SiP design, simulation and synthesis of adaptive, intelligent AI SiPs. This reduces the time risk and cost of AI SiP module development for mission critical systems. It enables AI space and defense embedded solutions not otherwise feasible for missions not otherwise possible. Our AI SiP modules implement novel adaptive machine AI solutions including smart sensors, smart processors and diverse applications requiring small size, ultra high performance, low power adaptive intelligence. This FAQ expands on this in detail. Please summarize your company, your technology and significance of your logo. We focus on the most demanding space and defense applications targeting adaptive, collective, artificial intelligence (AI). Our logo reflects several aspects of our technology. First the collective distributed intelligence implemented using our modules compares to the octopus distributed nervous system and not human brain models. The orange bi-color is due to the hybrid nature of our modules, which implement both high speed analog and digital components. Finally, QAI is an international organization with many parts, with individuals and organizations that work together within the U.S. and EU to build our complex modules. The company page only lists a small sampling of the people that constitute our company. Our company includes business specialists, scientists and engineers coordinated to contribute their unique skills to build our modules and deliver them. Our company motto is “deter evil”, which is an active task, in contrast to passive company mottos such as “do no evil.” We accept no funds from any ITAR or export restricted country or their fiduciary instrument proxies. We are contract and AI SiP product virtual integrated device manufacturer. Prior to QAI.ai LLC, our CEO and co-founder developed novel QED algorithms to develop “smart molecules.” Smart molecules use supramolecular forces (forces outside of the chemical bond) to make decisions regarding its in vivo chemical activity. Molecular systems such as these are described by Quantum Electrodynamics (QED) just as analog circuits. The molecular systems here are also super Turing systems because 1) their interactions are described by uncomputable real numbers (quantum mechanics) and 2) they dynamically reconfigure so as to assume different active conformational structures. He designed the first smart molecule in 2001. It showed good biological activity and was patented by the bio-pharmaceutical partner. The bio-supramolecular smart molecule compound IP is now owned by Genentech. The QAI.ai LLC novel MCM system synthesis technology is based on experience gained in the QED synthesis of smart molecule QED interactions, which lead to our automated MCM synthesis self-programming properties. Super Turing molecular systems. Smart adaptive molecule on the left and normal non adaptive molecule on the right. Smart molecule was synthesized and showed good activity in the partner cellular assay, and was patented as a novel molecular class. The molecule IP belongs to Genentech, which operates as an independent center within Roche Group. This R&D influenced QAI MCM synthesis. QAI SPECTRE™ logo reflects both our technology and company. We specialize in III-V semiconductor System in Package (SiP) AI modules. The III-V periodic table element group composite semiconductor, non deterministic analog machines we design and develop harness sub-millimeter wave performance, now up to 3 Terahertz per diode on each MCM integrated circuit die. The modules can operate at very high ambient temperatures, now up to 300 °C (572 °F). They are radiation hardened with High-electron-mobility transistor (HEMT) devices, which are self healing due to their Gallium Nitride materials. We use dynamic analog circuit adaptive self-organization through wireless inductors and other active device level elements. We harness analog uncomputable real numbers and adaptive circuits to solve complex (NP-Hard and chaotic) intractable problems non deterministically. Taken together this defines our modules computational core, i.e. non deterministic super Turing computation. SPECTRE modules that we build are described as 4D MCM-DP 15/15 on diamond AI SiPs. Our QAI SPECTRE™ 4D MCM-DP on micro-cooled diamond modules are a new form of System in Package (SiP) programmable hybrid computer technology, which contains System on Chip (SoC) and System on Wafer (SoW) technologies depending on the targeted application (requirements application specific). QAI SPECTRE™ modules can incorporate micro-electromechanical systems (MEMS) technology for applications where integral sensors are required. An example would be gathering empirical data in turbulent air flows. In this application thousands of QAI SPECTRE™ dispersed distributed modules collectively analyze atmospheric turbulence. The resulting data gathered is then used to enhance existing storm models, which are unable to predict extreme weather conditions. Due to climate change existing predictive models no longer work. Gathering empirical data to analyze and adjust the models is a solution to the problem. Definitions: MCM = multi-chip module, D = deposited, P = programmable, 4D = 3D + heterogenous die, 15/15 = 15 layers, 15 die per layer. Our 4D MCM-DP use micro-cooled deposited diamond as a semiconductor substrate. Micro-cooled deposited diamond minimizes or eliminates the need for active cooling in QAI SPECTRE™ turnkey modules. Our modules are turnkey because they may include the Angstrom Linux operating system running against dual ARM cores and interoperate using existing industry standards. The result is a “plug and play” multi-chip module, which is easily integrates into embedded applications. We focus on functionality not cost. We may license our designs to commercial entities to reengineer and address cost challenges but module low cost is not a priority for the space and defense mission critical systems we target. Our focus is building practical adaptive AI machines that go beyond current machines. We believe III-V element group wide band gap (WBG) semiconductors will replace Silicon as a semiconductor device substrate. Silicon has reached the limits of its computing scalability. This is why we focus on III-V semiconductors. The 15/15 4D MCM-DP are of the highest performance, the lowest power, in the smallest turnkey package. We do not focus on quantum computing or other unproven theoretical technologies. Our primary focus is development of embedded super Turing modules that enable adaptive Artificial Intelligence and machine learning for mission critical space and defense applications. We specifically target unmanned autonomous vehicles such as the QAI SPECTRE™ SHRIKE (like DARPA Vulture). QAI SPECTRE™ SHRIKE is an advanced adaptive machine intelligence super Turing unmanned autonomous machine learning high altitude vehicle. It is autonomous, solar/nuclear powered and operates indefinitely for extended defense world wide applications. Transglobal QAI SPECTRE™ SHRIKE works collectively in team integral environments implementing ultra-persistent high-altitude and long-endurance. What Is The QAI SPECTRE™ Reactor? The Reactor is the SiP QAI SPECTRE™ full flow Super Turing III-V SiP module design, modeling and synthesis system. The sphere is where the super Turing non deterministic analog multi-layer circuits and wireless network intercommunication are designed, modeled, simulated and synthesized into multiple SPICE circuit description files. The blue cubes are where systems controlled by the super Turing circuits are design, modeled and simulated (but not synthesized). The devices designed and modeled within the blue cubes are MEMs, SiC, SoW, FPGAs, ASICS and firmware interactions. The orange rods are AD/DA interactions with the super Turing sphere models and simulations. Modulated carrier is used for communication between the cube models and simulations and the super Turing sphere models and simulations. Collective intelligence distributed super Turing modules are designed, modeled, simulated and synthesized using multiple distributed reactors. What Are Non Deterministic Super Turing Machines And Why Are They Important? Harnessing uncomputable real numbers to solve computationally intractable problems is called non deterministic Super Turing analog computation. Non deterministic super Turing analog computation to predict chaotic signals was first experimentally demonstrated by researchers at University of Missouri in 2017. 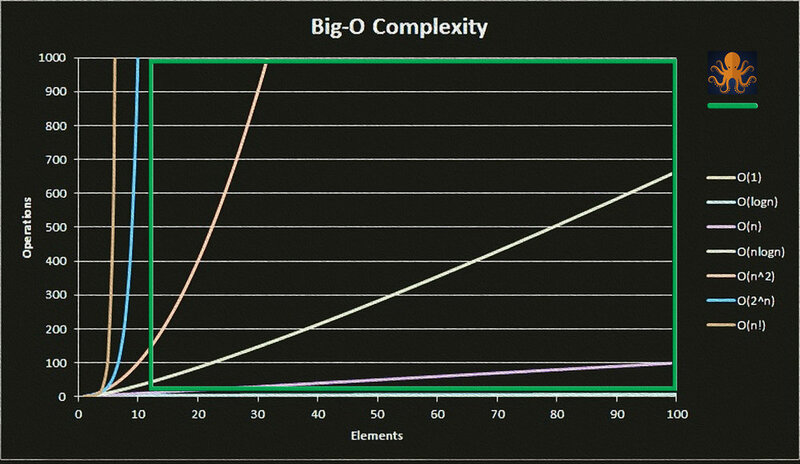 Current computers no matter if they use massive parallelism cannot harness analog uncomputable real numbers for computation because they are restricted to computable numbers. An uncomputable number is one that has no precise numerical representation, an example is the number one divided by square root of two. This results in an irrational number. Further, all the current semiconductor integrated circuits are relatively static. Our semiconductor circuits use wireless reconfigurable interconnect. This enables dynamic circuit self-organization/adaptation. In addition to embedded adaptive AI, one of two non deterministic super Turing application thrusts is analysis and prediction of chaotic phenomena using uncomputable real numbers. The second thrust is we believe III-V group analog non deterministic machines designed using our technology can solve exponentially intractable NP-Hard computational challenges in linear and polynomial computational time. How Does Non Deterministic Super Turing Computing Relate To Quantum Computing? One might ask why super Turing technology is necessary when quantum computing is alleged to be just around the corner? The answer is that theoretical quantum computing cannot compute what non deterministic super Turing machines can compute because quantum computers, which at this point are said to be a “mirage” by a cover article in IEEE March 2019 spectrum, are based on “Qubits” and not non computable analog real number problem solving. Virtually all quantum computer studies are based on theoretical software simulations, i.e. virtually all quantum computing is hype and vaporware. “There is a tremendous gap between the rudimentary experiments that have been carried out and the extremely developed quantum-computing theory” — Dr Mikhail Dyakonov, from his IEEE Spectrum article. The founder of QAI, (who worked extensively on quantum computing in the 1990s, establishing one of the first theoretical quantum computing laboratories, as discussed in the book “The Info Mesa”, by science author Ed Regis). He also came to the same conclusion, i.e. “The quantum error correction problem is not solvable.” It is for this reason that the QAI founder focused on non deterministic analog III-V super Turing Machines, which feature non computable real number problem solving and adaptive circuits that dynamically reconfigure in real time. In conclusion, quantum computers cannot use non computable reals and will likely never exist. QAI does not focus on them. What Are NP-Hard Problem Challenges? NP-Hard computation challenges are a class of problems that are ubiquitous. They generally appear as exponentially difficult optimization, data clustering and complex search problems. There are many different NP-Hard problems. These kinds of problems reduce to one another mathematically, so a solution to one NP-Hard problem is applicable to all NP-Hard problems. T(n) = O(n) problem scales linearly with n.
T(n) = O(n^k) problem scales polynomially. T(n) = O(k^n) problem scales exponentially. The first two are tractable, the third is not. Briefly, NP-Hard problems running on deterministic Turing machines scale as T(n) = O(k^n), they are intractable. The machines QAI designs are non deterministic super Turing machines that use non computable real numbers together with dynamic circuit reorganization and adaptive interactions at extremely high frequency (EHF) implementing parallel non deterministic operations to solve problems described by T(n) = O(k^n) in either T(n) = O(n) or T(n) = O(n^k), inclusive. How Can Non Deterministic Super Turing Machines Solve NP-Hard Challenges? In 2017 Japanese researchers built a special purpose integrated circuit where a plasmodium was housed. In this system the plasmodium, a kind of single celled amoeba, solved the NP-Hard traveling salesmen problem (TSP) in linear time through interactions with optical diodes, which encoded the TSP problem in a manner the plasmodium could then solve. We believe the plasmodium system was the first machine validation of a non deterministic analog super Turing system solving an NP-Hard problem, however this has not yet been demonstrated using analog electrical circuits. That being said, QAI conducted experiments that indicate that our modules can replicate the plasmodium behavior electronically. We believe the approach to replicating the plasmodium experiment electronically is to combine non computable analog real number degrees of problem solving freedom with novel wireless analog adaptive circuits, which then reconfigure dynamically, in parallel, thereby replicating the plasmodium experiment albeit using EHF III-V QAI SPECTRE™ technology. Using our wireless analog circuit approach QAI believes the plasmodium NP-Hard experiment scales to EHF analog circuit implementation. Using our behavioral synthesis technology and dynamic wireless circuits, we have modeled such a system. The behavioral model describes a novel non deterministic super Turing machine implementable by III-V semiconductor circuits. This enables non deterministic solutions to all NP-Hard optimization challenges in linear time at III-V EHF real-time operational performance. The result are new solutions to problems that were formerly intractable to solve, spanning many different industries, enumerated below. The following video validates our behavioral synthesis technology simulating this wireless approach. In the video wireless behavioral circuits, with non deterministic jitter, solve a complex NP-Hard dynamic clustering problem. Clustering is a known NP-Hard problem, which is equivalent to the TSP problem solved by the plasmodium in its complexity. The simulation is able to solve the problem even under rapidly changing dynamic clustering constraints. The behavioral model and solutions like this are implementable as non deterministic analog circuits with wireless interactions and non computable real number degrees of freedom. What Is The Super Turing Machine History? Dr Alan Turing laid the groundwork for modern computation. He theorized about artificial intelligence and machines exceeding the capabilities of all current computers. Dr Hava Siegelmann formalized the theory of a novel continuum of different computational classes, including non deterministic super Turing machines, in 1992 with Dr Eduardo Sontag. How Are QAI SPECTRE™ Non Deterministic Super Turing III-V Analog Modules Enabled? QAI SPECTRE™ has developed the tools and technology to behaviorally synthesize non deterministic super Turing analog multi-chip module computing semiconductor technology (patent pending) that enables solutions to exponentially intractable challenges facing the world today. The QAI SPECTRE™ company mission is end to end behavioral synthesis of super Turing application specific multi-chip modules. We partner with III-V integrated device manufacturers and others to build our non deterministic multi-chip module turnkey systems for applications in space and defense. What Are The Physical Properties of QAI SPECTRE™ Super Turing III-V Modules? QAI SPECTRE™ multi-chip modules have multiple layers (up to 15 layers) and have multiple heterogenous die per layer (up to 15 die). Layers are deposited micro-cooled diamond implementing sub millimeter wave QAI SPECTRE™ modules. Diamond, is the best thermal conductor known. Diamond is the QAI SPECTRE™ high performance choice substrate for its 4D programmable, heterogeneous, multi-layer deposited multi-chip modules. 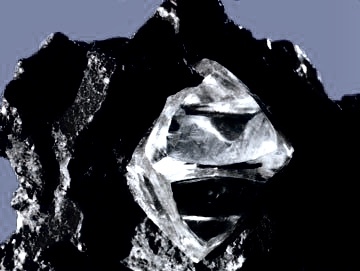 Diamond became available as a large area free-standing substrate through fabrication using various chemical vapor deposition (CVD) techniques. The 4D nomenclature indicates the QAI SPECTRE™ programmable MCM-DP contains heterogenous integrated circuit die. Diamond is the best thermal conductor, having thermal conductivity of more than 2,000 watts per meter per Kelvin (at room temperature), which is five times higher than the best metals such as copper. We use diamond to remove heat from the multiple layers of our SiP MCMs. Each layer in our SiP modules is a miniaturized circuit board. We call this diamond wafer board (DWF) technology. Each DWF is composed of either a Silicon Carbide (SiC) or Gallium Nitride (GaN) base layer depending on the mission requirements. The base layer has vertical interconnect access (VIA) points so that the DWF layers can interconnect both through wireless and wired technologies through multiple layers of the SiP MCM. Each DWF base layer has a mesh of micro-tubules, which vent heat to the perimeter of the SiP package and provide passive cooling of the die bonded to each DWF layer. The DWF is then placed in a physical reactor prior to use and a 10 micron layer of diamond is placed on the layer using CVD. Both the VIAs and micro-tubules are unaffected by the CVD diamond thin film. How Is The Diamond Wafer Board Used? The DWF is the miniature circuit board upon which bare die are bonded. The DWF has wires and passive components interconnecting the die printed onto its surface. Depending on the mission requirements, the printed electronics use different materials, so applications where high temperatures (up to 300° C) are required use different printed electronics than at room temperature. Using DWF we have up to 15 layers in our modules, with each layer having up to 15 interconnected die. The DWF/die are interconnected using a combination of wired and wireless technologies within a hermetically and electromagnetically sealed SiP package. How Are QAI SPECTRE™ Modules Integrated Within Digital Systems? QAI SPECTRE™ modules are heterogenous hybrid computers. They use FPGA bare die (and other VLSI die, SoC, SoW and SoW) packaged in the QAI SPECTRE™ compact module to control, interface to manage and interact with EHF unclocked super Turing die. The use of FPGAs in our super Turing modules as control devices facilitates the integration of QAI SPECTRE™ modules within current digital embedded deployments and environments. The FPGAs are reconfigurable by the end user. This affords a great deal of mission flexibility. Our programmable modules have multiple integral ARM cores running Angstrom Linux. What Is Meant by The Acronym QAI SPECTRE™ Super Turing MCM-DP? The “D” indicates the MCM is deposited as opposed to laminated (MCM-L) or ceramic (MCM-C). MCM-D offers the highest level of integrated circuit die integration and the highest performance. The “P” indicates that the MCM is programmable. QAI SPECTRE™ modules use high levels of systems integration using QAI heterogeneous “4D” packaging. Heterogeneous die packaging is used since QAI SPECTRE™ module missions require integration as complete computing systems in a single heterogeneous module. These systems include multi layer super Turing die (up to 15 layers deep, with 15 die per layer) and include dual ARM cores, integral FPGAs, with several gigabytes of firmware FLASH or other memory running Angstrom Linux embedded operating system, in a single self-contained package. How Are QAI SPECTRE™ Non Deterministic Super Turing III-V Device Circuit Multi-Chip Modules Designed, Developed And Built? QAI SPECTRE™ circuits are designed using III-V element group semiconductors using QAI advanced automated modeling, simulation and behavioral synthesis, which results in SPICE model output, which is then currently imported into electronic design automation (EDA) software for refinement and tape out. This results in a rapid turn around time from the initial specification to fabrication and packaging of our multi-chip modules. We address adaptive AI mission requirements to solve hard AI challenges. Our behavioral synthesis system models the entire multi-chip module, including heterogenous devices, bare die from other manufactures, including both analog and digital devices and components. Why Is This Revolutionary? Space and defense mission critical systems are enabled with our high performance adaptive AI and collective intelligence using a highly modular turnkey approach, which upgrades existing systems. QAI SPECTRE™ non deterministic III-V analog super Turing hybrid machines could dominate many other forms of computation. The QAI SPECTRE™ modules enable adaptive artificial intelligence within high performance miniaturized systems. AI is currently limited to narrowly defined applications. Several well funded robotics companies have faced severe challenges implementing adaptivity. We believe this is due to the lack of super Turing machine functionality. QAI SPECTRE™ AI SiP very high performance modules address this limitation. This is why all attempts to implement adaptive intelligence have failed. Non deterministic Super Turing machines exceed the Turing Limit and enable adaptive artificial intelligence not feasible today. QAI SPECTRE™ uncomputable real non deterministic super Turing machines solve chaotic intractable problems that are impossible to address today, which no current or future digital computer can solve. QAI SPECTRE™ modules not only revolutionize current artificial intelligence and machine learning, the modules implement collective distributed intelligence using wireless and other communication technologies/protocols. What Is QAI SPECTRE™ Module Collective Intelligence And How Is It Implemented for space and defense? Collective intelligence is where distributed artificially intelligent machine learning agents work together to adapt, improvise and overcome operational challenges, this includes mission survival. In this case the intelligent agents are implemented by QAI SPECTRE™ modules, which communicate using an encrypted spread spectrum wireless protocol called Link 16, which facilitates optimal self-organized processing. The protocol is used to implement the communications architecture of the Joint Tactical Information Distribution System (JTIDS). QAI SPECTRE™ module enabled systems are interoperable with current and future JTIDS enabled platforms, including ground air defense systems, airborne and space systems. We engineer other protocols as may be specified by mission requirements. What Is the Impact? QAI SPECTRE™ Non Deterministic super Turing machines allow development of novel III-V analog computing modules implementing revolutionary solutions to solve problems facing space and defense applications, which other forms of computation cannot address due to many complex factors. QAI SPECTRE™ non deterministic super Turing machines using uncomputable reals: are behaviorally synthesized and then fabricated, have capabilities beyond any current or future digital computer. They are energy efficient at as low as 1 Joule per AI SiP MCM layer, operate at high temperatures functional with just passive cooling, radiation hardened and with a form factor of half the size of a child’s hand or much less. These machines fundamentally transform the way space and defense systems operate. What Is The QAI Industry Sector? QAI targets mission critical space/defense applications. The unmatched computational power and survivability of QAI SPECTRE™ super Turing machines for defense/space high performance adaptive AI and machine learning applications focuses on capabilities over cost. Although volume discounts bring AI SiP unit cost down, QAI SPECTRE™ single modules cost between $100K-$500K, depending on the engineered module capabilities. Our high performance AI SiP modules are turnkey, which need very little systems integration with existing and planned mission critical space and defense systems. What Space And Defense Companies Does QAI Target As Partners? QAI targets the needs of large defense contractors in the United States and the European Union. QAI SPECTRE™ are exported restricted by International Traffic in Arms Regulations (ITAR) and Export Administration Regulations (EAR). Both regulations are designed to help ensure that defense related technology does not get into the wrong hands. QAI SPECTRE™ super Turing adaptive modules take artificial intelligence and machine learning to unprecedented levels. Are There Commercial Applications for QAI SPECTRE™ Modules? Yes, although QAI focuses on space and defense applications, the company licenses selected QAI SPECTRE™ module designs and it’s unique self-organizing machine learning algorithms to companies that develop non competing commercial applications. This is because defense and space mission requirements far exceed commercial requirements and we work with commercial partners enabling them to take selected module designs or algorithms for them to integrate into specific commercial applications. QAI may take an ownership position in a commercial joint venture. An example of this is QAI Blockchain, which focuses on peta-hash cryptocurrency mining modules. In this case there is overlap with our space and defense focus because of mining high performance computing and low power requirements. What Is The QAI SPECTRE™ Development Process? 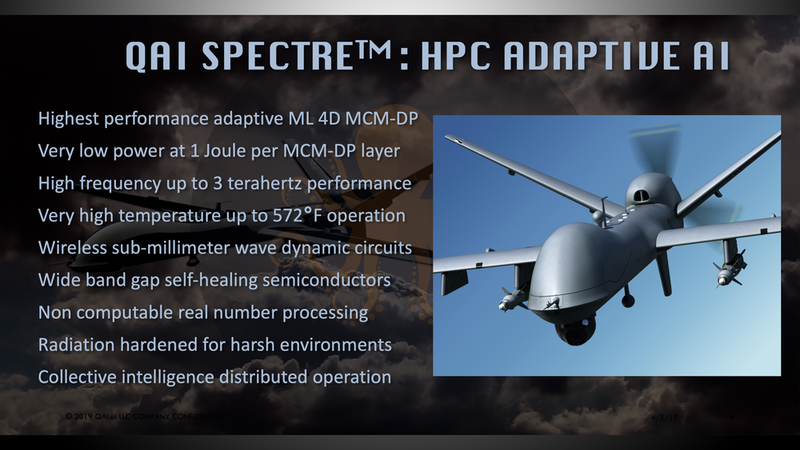 The QAI SPECTRE™ space and/or defense partner contracts with QAI to develop the application specific analog non deterministic high performance III-V analog computing super Turing module. QAI analyzes partner requirements and develops a non deterministic super Turing behavioral model solution and SPICE models. The solution is then refined using current EDA simulation and layout. The end to end simulated module is fabricated and packaged in the configuration and quantities contracted by partner by QAI. QAI is a fabless fab, which is partnered with U.S./EU III-V semiconductor foundries and MCM integrators. Our process is highly automated due to our module automated synthesis technology. We focus on adaptive AI mission critical systems. There are several phases to our module development process. The phases are milestones that demonstrate functionality at each step in the process. The final system is end-to-end simulated using “gold standard” EDA simulation technology prior to tape out (semiconductor fabrication and module implementation). In this way the space and/or defense industry partner understands the entire QAI SPECTRE™ design flow and results.